Thanks for your interest in joining the Hawks for the upcoming 2018-2019 Cricket Season! 1. Check the appropriate Woolworths Blasters, Juniors, Seniors or Masters page (under Grade Information) for information pertaining to your group of interest. All relevant information should be there. If your query is still unanswered, please call one of our co-ordinators and we will assist you. 2. Scroll down on this page to find your interest level. 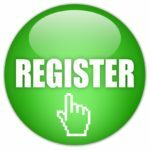 Click REGISTER today to register online or follow this link https://www.hawkscricketclub.com.au/grade-information/membership-join-cricket-club-gold-coast/online-membership-registration-form/. You will need to complete this online form for each person you are registering. 3. Please then complete this online form in full. If you are unsure, you are welcome to call any of our grade coordinators who will assist you. Connor O’Brien 0421 247 395 for Senior enquiries, or Shawn Riddell 0457 875 308 for Junior enquiries. If anything is incomplete or incorrect we will phone you to discuss. Note: Our advertised special on senior playing fees expires on August 31, 2018. You will receive an email response from us after we process your registration and payment. Please note that we cannot accept any registration without arranged payment. We are a registered club for the Queensland Government Get Started Grant, providing another chance to make your fees even more affordable. We are determined to make the Helensvale Pacific Pines Hawks Cricket Club the most family friendly and competitive club on the Gold Coast. We welcome all new and returning members and their families to our club. At the Hawks we are all about providing opportunity for our members to grow as individuals as well as team members through the game of cricket. Our club does everything it can to keep fees low for your children. 8 Week Program to help skill building for 5 to 7 year olds. Boys and Girls. Woolworths Kit Bag including Shirt (name on the back) and Big Bash Hat. Club House facilities Open for Parents. Starting Early October for 8 Weeks. Insurances, Game & Ground Fees. Friday evening Program to help skill building for 7 to 8 year olds. Boys and Girls. BBL Themed Bag including Shirt and Hat. Fun Juniors Cricket at it's best. Games run Saturday morning from 8am-11:30am. 2 x Training Sessions a week. Each team gets a coach. Insurances, Umpire, Game & Ground Fees. Opportunity to play Senior Cricket. Our Seniors and Masters members are a fantastic bunch of guys. All wanting to have fun and be competitive. Our fees are kept low to ensure that everyone who wants to play cricket can. We welcome everyone to the Hawks! Covering all Skill Levels - 1st Grade - 6th Grade. Games held Saturday 11:30am- 5:30pm. Early Payment Discount expires on August 31, 2018. Over 40s Seniors play every 2nd Sunday from 10am-4pm. $20 per game, pay as you play. 1 x Training Sessions a week. Opportunity to play Senior Cricket on Saturdays.